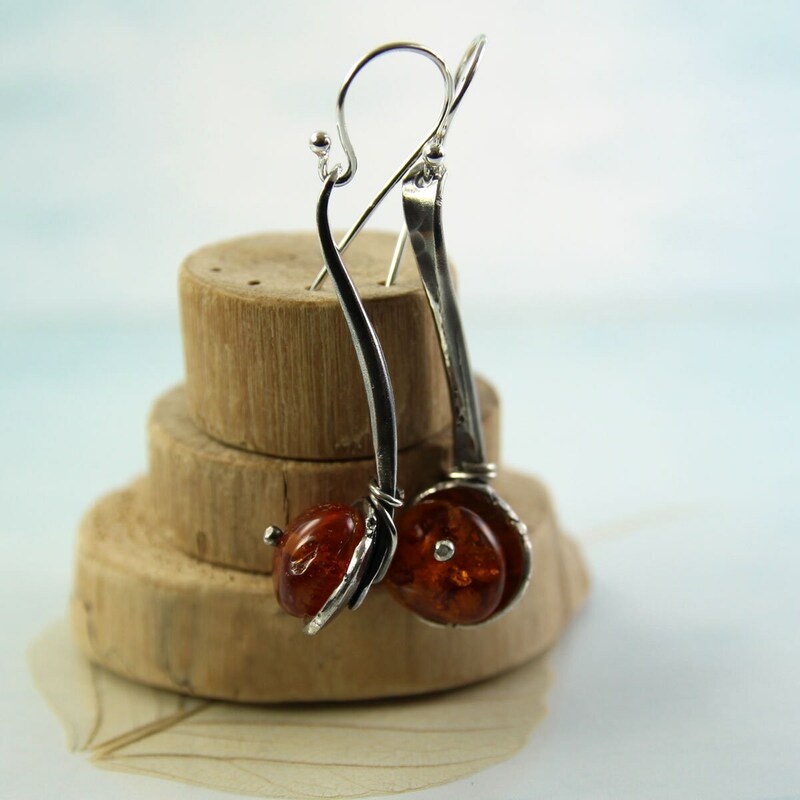 Gracefully curved dangle earrings with ball rivets and organically shaped pods. 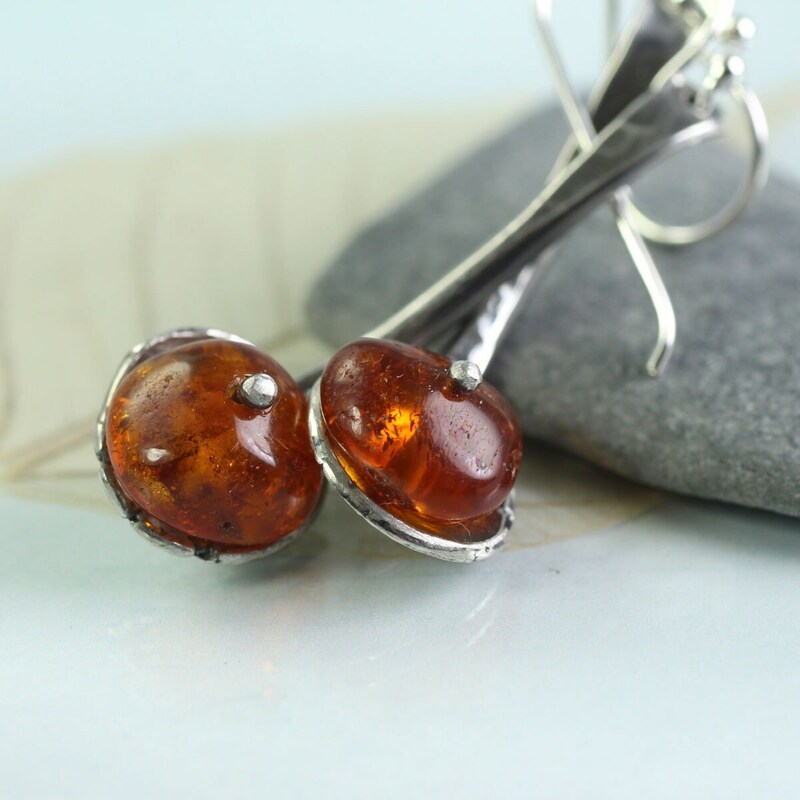 Nestled in the cups are nuggets of Danish amber, polished to a shine and showing off the dark honey translucency. 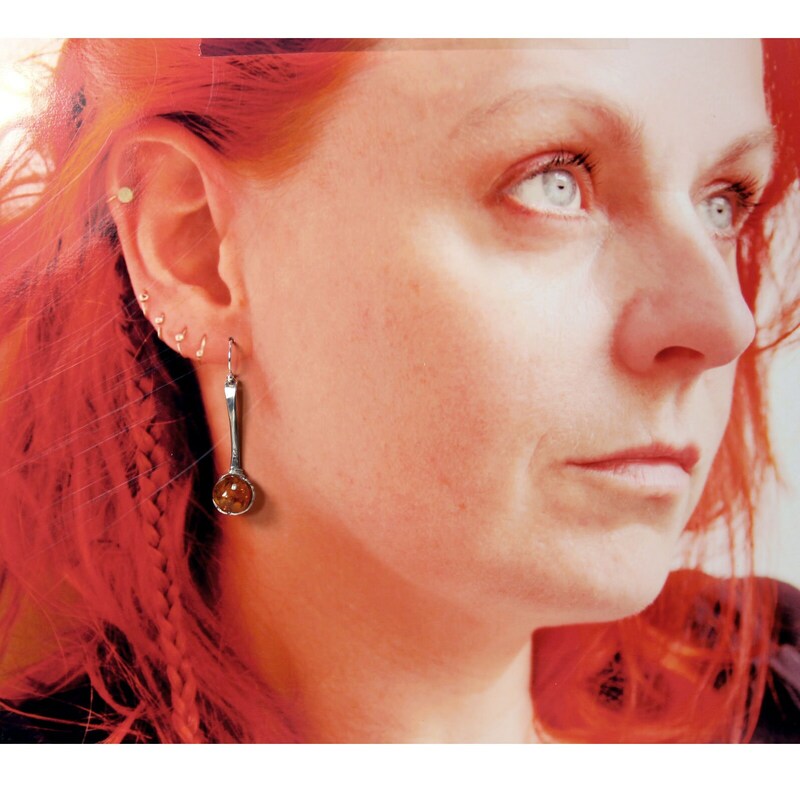 I have forged these earrings from recycled sterling silver. 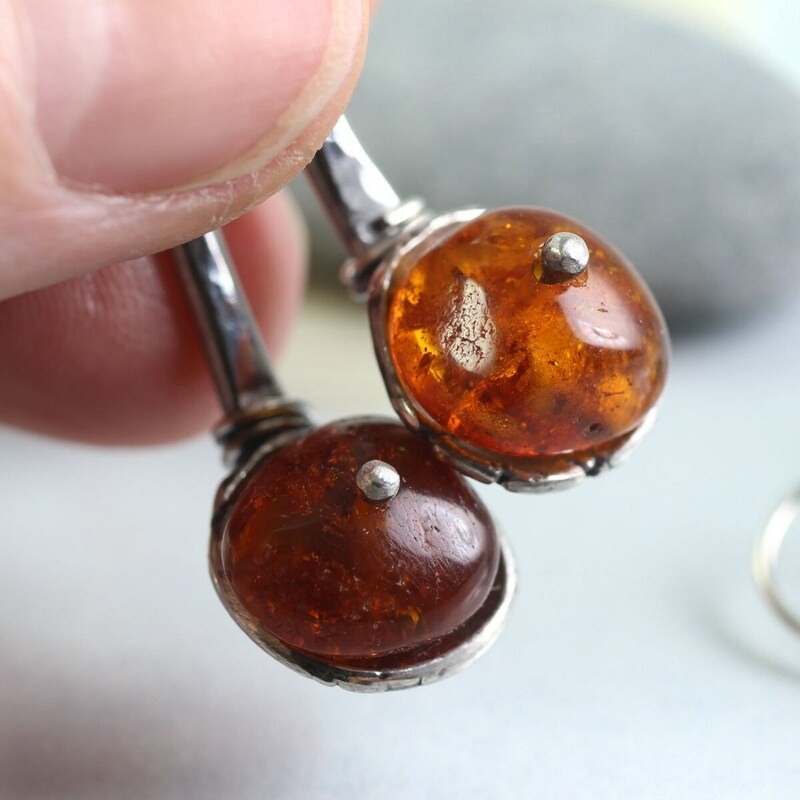 The pods are re-melted silver flattened and domed into bowls and the stems are hammered and bent into an elegant s shape, then drilled open to receive the amber domes. 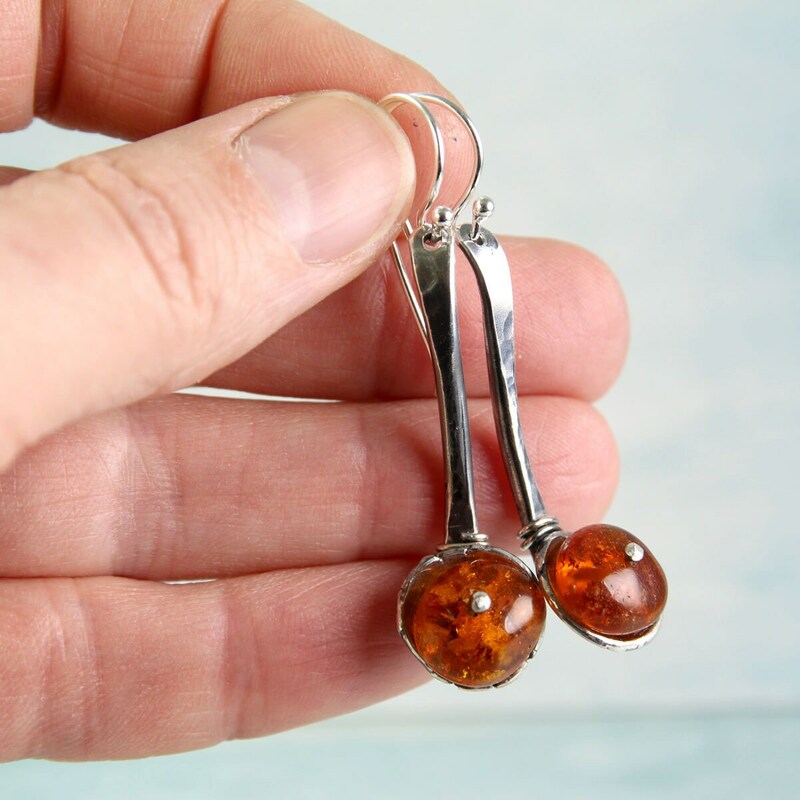 They are created with no more than basic tools such as a smith from a millennium ago might have had. 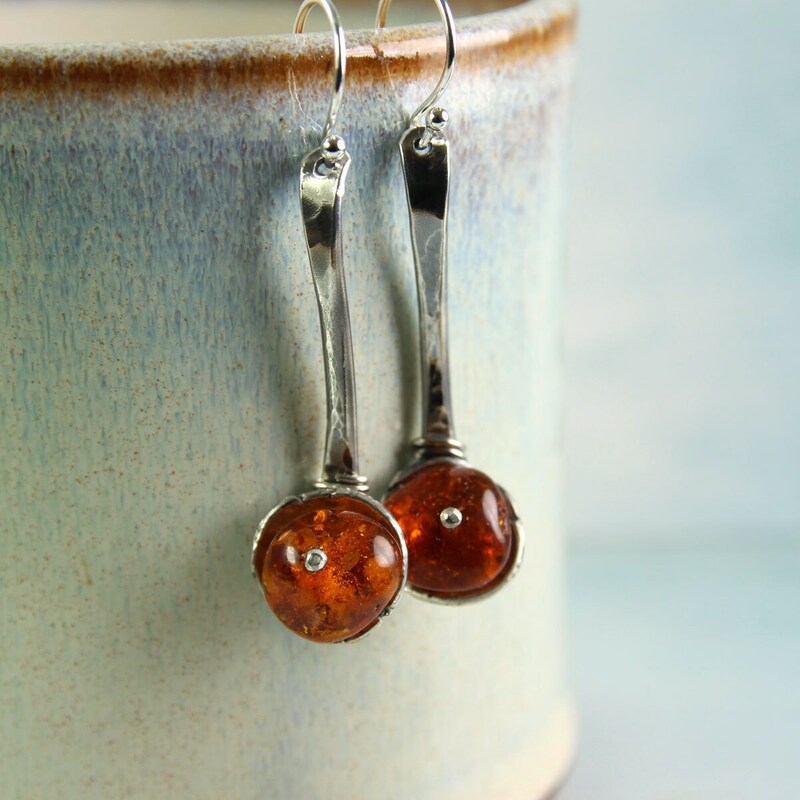 I love that the techniques have lasted that long. 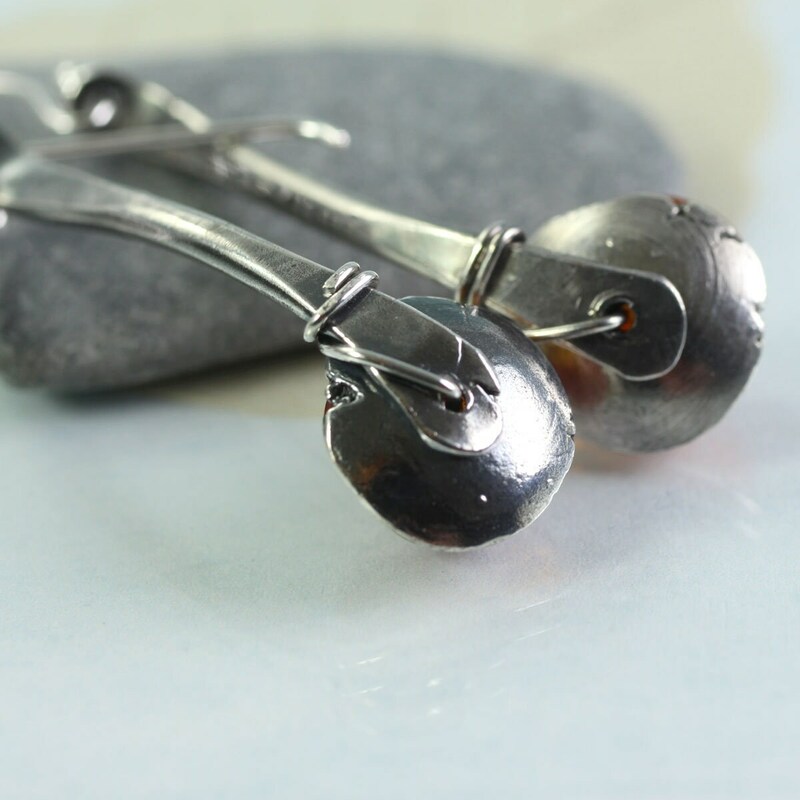 I have polished them to a shiny mirror finish, then blackened parts to give them back some of the rustic character of their making. 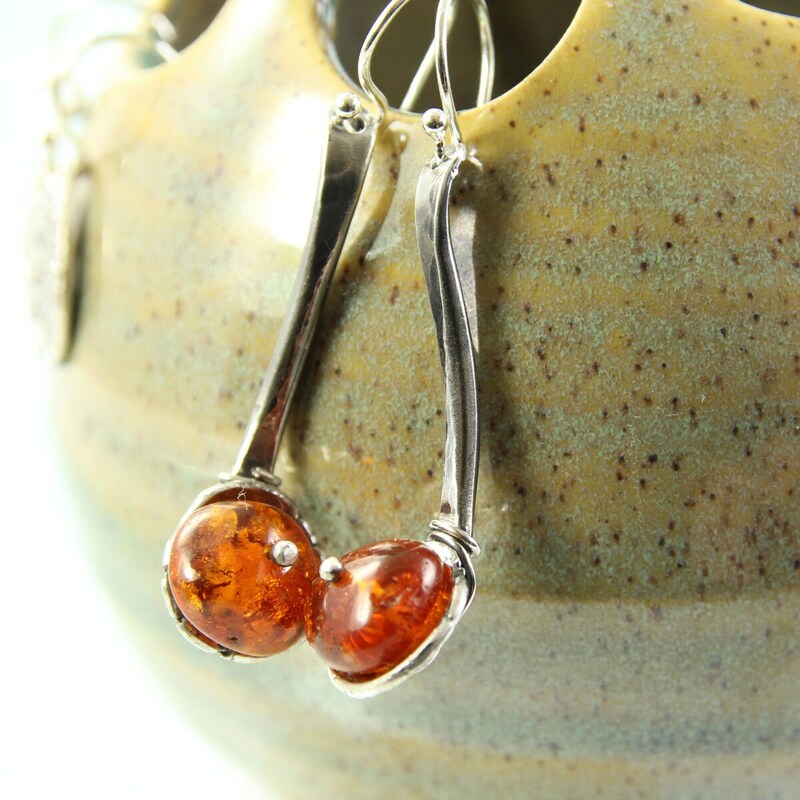 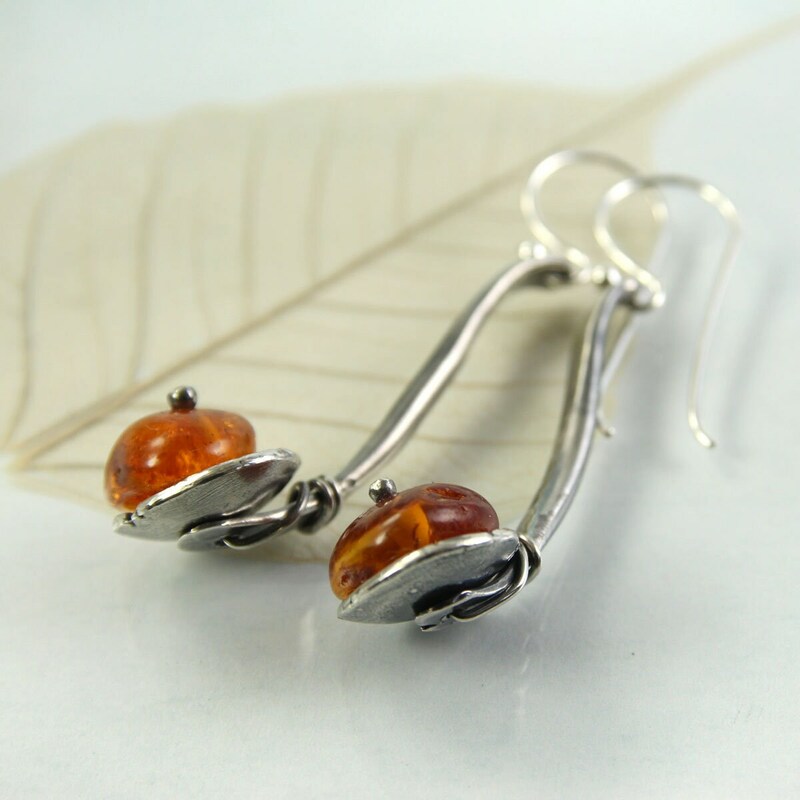 The amber nuggets are about 10 mm in diameter and the whole earring about 37 mm - 1.25 inches long - plus the ear wire in sterling silver. 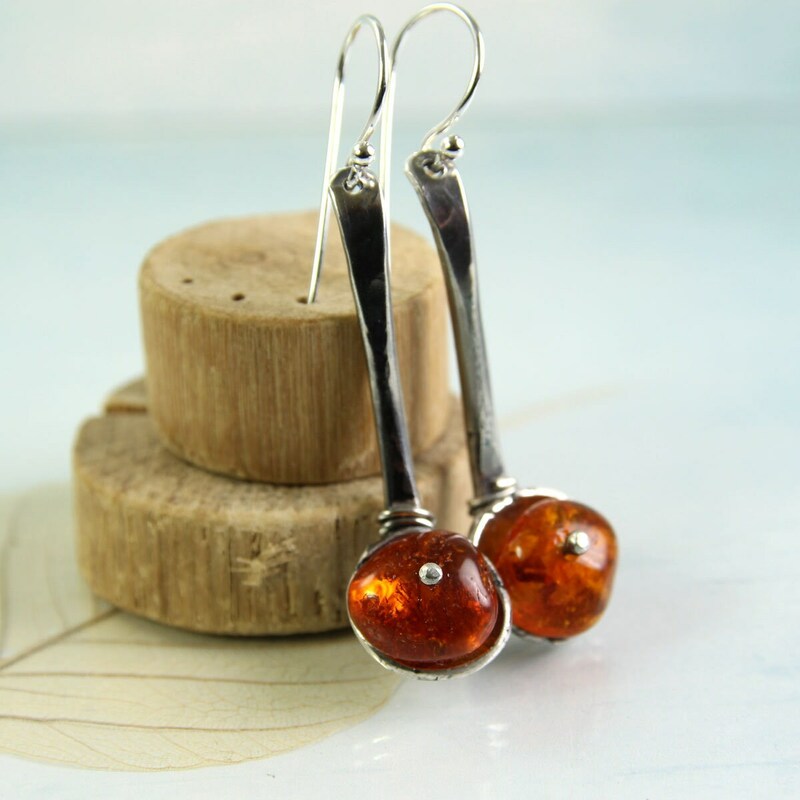 * Length with ear wire - 50mm / 2"
* Length of dangle 37mm / 1.25"
* The amber is from the west coast of Denmark.